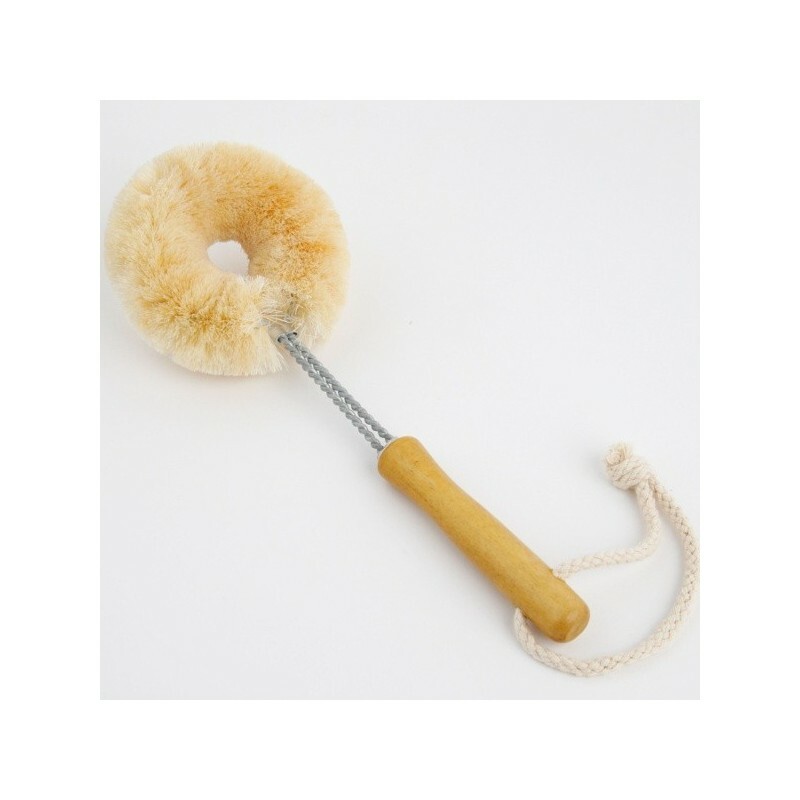 This 100% plant fibre kitchen brush is ethically handmade in Sri Lanka using biodegradable, environmentally-friendly and natural fibres. Galvanised wire connects the head to the wooden base ensuring the brush is rust free and long lasting. The soft bristles make this brush ideal for non-stick pans. I really love this scrubbing brush, it doesn’t harm my non stick pans and is very efficient when it comes to removing food. Worked really well on my non-stick pans. I did find that it took on a bit of a smell when it wasn't in use though. Works fine - just wish it was a tad smaller. I wish it was the same size as the coconut fibre brush but it still works well. I just find the larger size too awkward. My fault for not checking sizes!